Stay in French Riviera's best hotels! 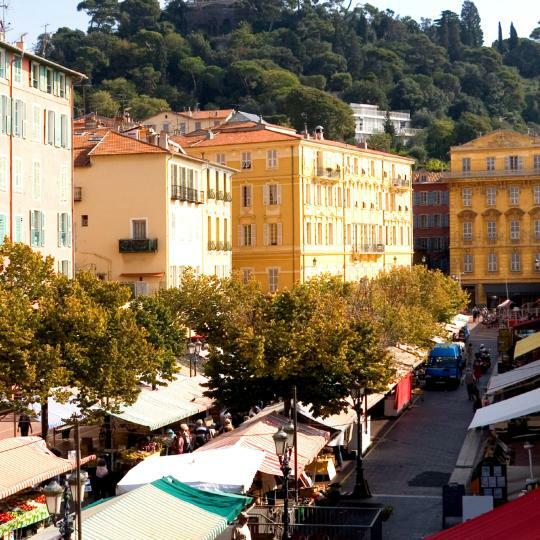 Hotel 66 Nice is located in Nice, 656 feet from Nice Train Station and a 20-minute walk from Nice Old Town. Guy on reception couldn’t have been more helpful!! Lovely room. Offering a sun terrace and sauna, Okko Hotels Cannes Center is located 328 feet from Cannes Train Station and 1640 feet from Palais des Festivals de Cannes. We just loved the whole concept. The aperitivo and breakfast included are exactely as described with excellent products. The room was small but very well-thought.Great bed and sheets. Very polite personal, always greeting with a smile. Offering views of the Mediterranean Sea, the Hôtel Barrière Le Majestic Cannes is located on famous La Croisette Boulevard in Cannes, 361 feet from the Palais des Festivals and the old port. Nothing bad about this hotel. My favorite one so far in Cannes. Hotel 64 Nice is located in center of Nice, just 3 minutes' walk from Nice-Ville Train Station and 15 minutes' walk from the Old Town, the Promenade des Anglais and the beach. Excellent hotel and just loved my stay. Staff so helpful and welcoming and friendly. Located in Le Lavandou, Hotel de la Fossette offers a spa & wellness center. This 4-star hotel offers luggage storage space and free WiFi. Guests can enjoy mountain views. A gem on the coast with lovely rooms, superb staff and excellently breakfast - highly recommended. Hôtel Neptune Nice is a Boutique hotel set in Nice. Located on the third floor of a residential building, the hotel is accessible by a small elevator and by stairs. This was my first time in Nice. I spent 8 nights in Nice of which 2 nights at Boutique Hotel Neptune. I wish I had stayed more nights at Boutique Hotel Neptune, because this place is just wonderful! The owner and his colleague have done a tremendous job with this new boutique hotel thus far. Both are very friendly and put a high focus on customer service, which I absolutely appreciate! They are both very warm and welcoming and have given me really great tips for sightseeing etc. Furthermore, the rooms are super clean and the interior is super new. I really love the modern bathroom design. It reminds me of my own home. Even though I only spent two nights here, I love how the cosy room made me feel like coming home after having spent an entire day in the hustle and bustle of Nice. The location of the hotel is literally in the heart of fancy central Nice. I felt completely safe during my stay. The owner has cameras installed in the building to make sure the guests feel safe. Also, the internet speed is great! I do have to say that I don't write reviews very often, but I had such a pleasant stay that I've decided to take my time and write a positive review. Because this place exceeded my expectations! I would definitely stay here again during my next visit to Nice, and hopefully it will be a bit longer(if there's availability of course). Set in a building dating from 1864 in Monte Carlo, Hôtel de Paris has a wine cellar and is located next to the Casino de Monaco. This was, without a doubt, the best hotel I have ever stayed in. In the heart of Saint-Maxime, this hotel is 50 yards from the beach and offers air-conditioned rooms with balconies or loggias, a bar and a top-floor terrace with sea views. Friendly and helpfull staff. Nice, big room. Good breakfast. Central location. Free parking. This luxurious hotel features an oriental-palace-inspired décor and is located in the center of Saint Tropez. It has an outdoor pool surrounded by sun lounges and a pool-side summer bar. Wonderful & friendly staff. Beautiful pool area was very relaxing. Just a 5-minute walk from Saint-Tropez center and Place des Lices is Villa Cozy. It offers contemporary rooms in a villa-style setting and a heated outdoor swimming pool. Wonderful facility, staff very friendly! The 4-star Hotel Alain Llorca is located in the Provence hillside 4.3 mi from the coast. Air-conditioned guest rooms each have a private balcony or a private garden, LCD TV and free WiFi. Extraordinaire. Incredibly fabulous property. Staff is superb! 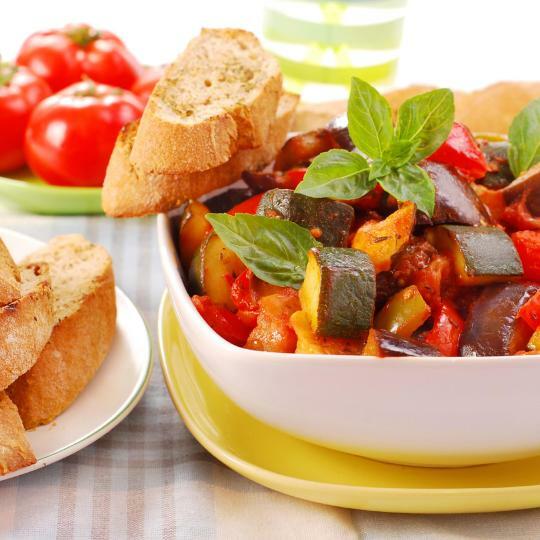 Cuisine is tres magnifique! Hotel Metropole Monte-Carlo is located in the Carré d'Or in Monaco, less than 328 feet from the luxury boutiques and Casino Square. I can’t add much .. the place is excellent and thank you booking. Hotel Albert 1er is located a 10-minute walk from the Palais des Festivals et des Congrès and the Croisette Beach. It offers air-conditioned rooms, a terrace and free Wi-Fi. Hotel Albert is a lovely, intimate family run hotel. Evelyne was fantastic! The Welcome Hotel is situated in Villefranche-sur-Mer between Nice and Monte-Carlo. It offers air-conditioned rooms with a balcony overlooking Cap Ferrat Bay. The reception staff. Made me feel as if I knew them from years and they were like my friends. Set in a building dating from the 19th century, Hôtel du Clos is is a hotel with an outdoor pool in Le Rouret. Free private parking is available on site. The staff and owner were welcoming. This design hotel is set in the Mediterranean city of Juan-les-Pins, 492 feet from the beach and the casino. Loved the retro chic look of the hotel. The little detail items, made it extra special. Hôtel de Provence is in central Cannes and has a pretty garden and patio. It offers air-conditioned guest rooms with a bathroom, each with satellite TV and Wi-Fi access. This family run hotel is the best bargain in Cannes. In an Art Deco-style building, Best Western Mondial is on the famous shopping street of Rue d'Antibes, just 270 yards from Boulevard de la Croisette beaches. Perfect location in the center of Cannes premier shopping and two short blocks to the beach. 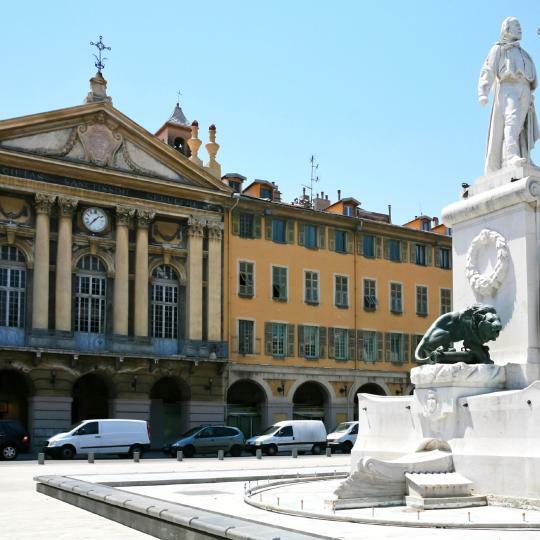 Just a 5-minute walk from Nice-Ville Train Station and the Avenue Jean Medecin high street, Ibis Styles Nice Center Gare offers accommodations in central Nice. Very good service staff. Value for money if you choose to stay here. Located 3.7 mi from the center of Frejus and 5.6 mi from Saint Raphael train station, ibis budget Frejus Capitou A8 offers a 24-hour reception, a buffet breakfast, newspapers and free WiFi throughout.... Convenient. Clean. Decent value. Good choice for a late night, over night stop. Overlooking the sea in Nice, just 98 feet from the beach, Hotel Le Saint Paul (ex Maison du Séminaire) features a large garden and an adjoining chapel. Stunning view, excellent value for money. It's just a 10-15 min walk to the old town. A small beach in a rocky cove of St-Jean-Cap-Ferrat, where you can rub shoulders with the rich and famous. 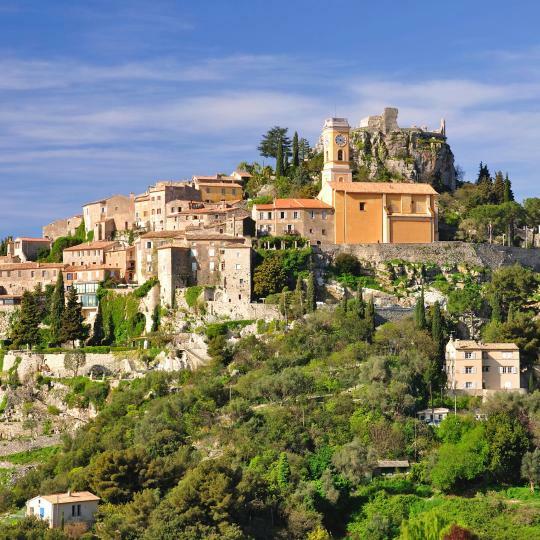 Scale this picturesque hillside to the medieval perched village of Èze and admire the magnificent views. 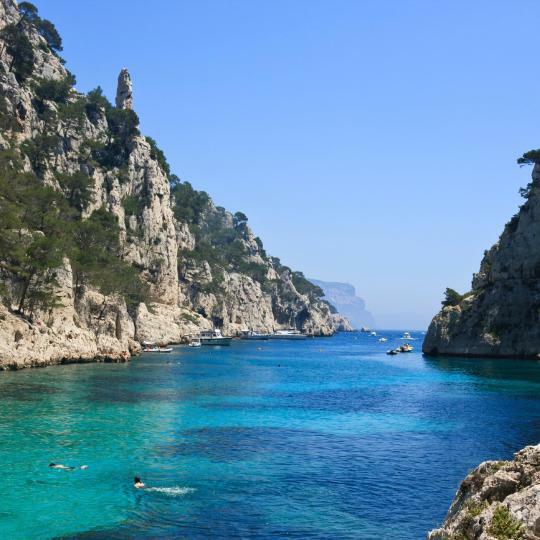 Explore the spectacular and unique ecosystem of the Calanques National Park by boat. A coastal mountain range of red volcanic rocks jutting skywards. 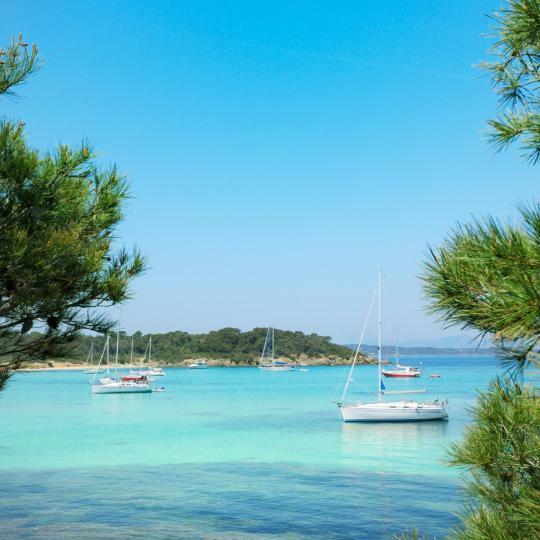 Sail to the unspoilt natural beauty of Îles d’Hyères. Admire the wistful balconies and shuttered façades surrounding this traditional marketplace. Housed in the Château Grimaldi with beautiful sea views, this small collection of Picasso's works includes some lesser known pieces. 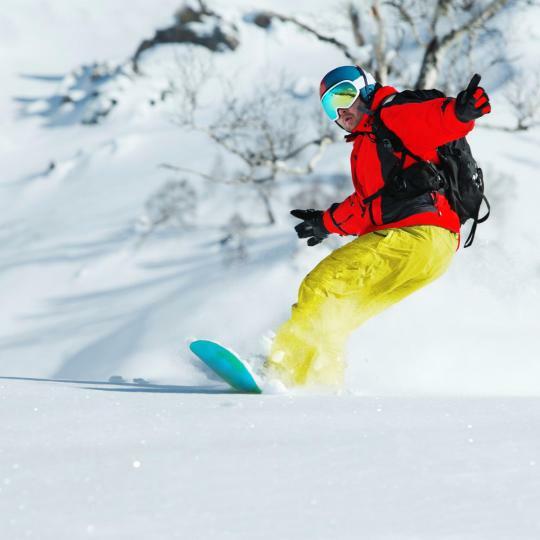 Enjoy some piste action at one of this region's several ski resorts, including Auron, Isola 2000 and Valberg. Visit Chapelle de la Miséricorde or Palais Lascaris and marvel over the opulent architecture and interiors. The riviera is dotted with many Michelin-starred restaurants, as well as traditional Provençal bistros with more down-to-earth menus. Monaco is great. So much to do here!! 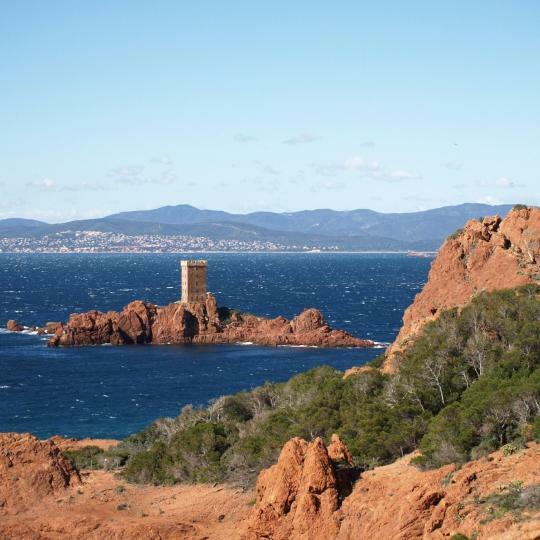 And so close to other places on the French Riviera that are also "must sees"!!! Villa Azur was the absolute BEST choice for staying in the French Riviera. Hotel is amazing, clean/updated/comfortable rooms, right on the beach, def get a beach front room. Restaurant was one of the best meals we had on our trip. The staff is super helpful and extremely nice. The train line is near by so you can go all over to any town very easily. There is a marina complex close by with a ton of restaurants and shopping and there is also a grocery store in walking distance. We will back for sure! The hosts are amazing. We had excellent communication before and during our stay. The villa is absolutely amazing. The kids (and adults) especially loved the beautiful pool and patio. 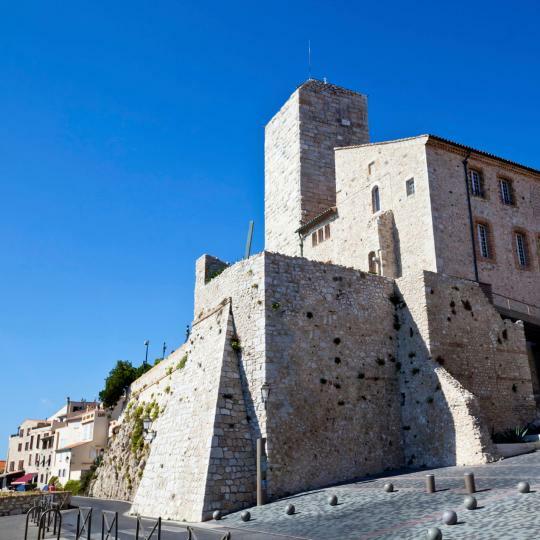 The location is perfect for exploring the entire French Riviera. Great beaches and restaurants near by (within easy walking distance, if you like). The community is gated, so we felt extraordinarily safe. There is a bus stop right outside the neighborhood, so you could keep the car parked for a short trip into town. Very near the bus stop. Hopped the 500 bus directly to Grasse in less than an hour one day and did the 400 to St Paul de Vence the next day. The location is wonderful. Short stroll to the sea. Sunny huge windows and sunny balcony. Excellent staff. Very comfortable pull-out bed and extra bunk beds for when my son came to visit. Love this place. 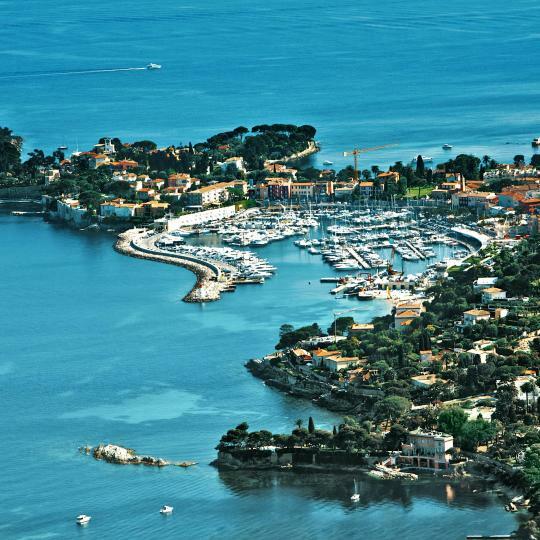 Unbelievably low price to be in the heart of the French Riviera. Great nearby food stores. Dozens of restaurants. Highly recommend it. Very cosy, home-like hotel with good location and lovely view to the sea. I felt the old charm of French Riviera in this hotel. The staff (mother and daughter, and the boys late in the evening at the front desk), were very nice, spoke good english and always helped us in all possible questions. The breakfast, which was enjoyed outside at the terrasse, was good and gave a good start for the day. Bonus points to a beautiful house cat! <3 Merci! Very good gym facilities.Pool setting is the best in all The French Riviera,imo. Location of hotel is well suited for nearby nightlife. During the 4 nights I stayed in the hotel I noticed there were always more than enough staff members on duty to handle check in/out in under a minute. Seems to be a very well managed hotel.Gets everything right. Starbucks is next door. Great location with Gare de Monte Carlo (Monaco) just 5 mins downhill. (The French Riviera is hilly so there’s not really an option for flat access. Route to hotel was well paved so shouldn’t be much of a problem with luggages and all.) Carrefour supermarket just behind in 2 mins. Overall great access, great terrace spacious rooms and generous breakfast for that price. The hotel is great with a cute swimming pool for you to enjoy the French Riviera without having to resort to the expensive hotels down close to the sea side. You likely want to have a car with you though since Uber is very expensive in the area. It's worth for the money and very convenient for business, since it is located inside a technological park in Antibes. Great Staff, Excellent Room, Great Location. The room (Nr.15) was completely renovated and the bathroom was new and the shower was fantastic! They even recommended an amazing restaurant ( Le Bistrot) which was our best meal we've ever had in the French Riviera. Breakfast was all fresh pastries, bread, and jam! Super nice staff!! We got all of what we requested during our stay from the staff, no problem with having some extra towels or cutlery to prepare breakfast in our room. And they have a great lime and mint water during the summer, very refreshing after a day in the lovely French Riviera!. The hostess was very friendly and provided lots of interesting tips for the different towns on the French Riviera. Nice breakfast in the garden. Beautifully accented property with 2 rooms for 3 adults. Will definitely recommend to my friends as an A+ place to stay. Location is excellent. Only few meters from the beach and a few minute walk to the center of the village. Staff very friendly. Fast and easy check in. Hotel has free private parking which is a rare treat in French riviera! Location is perfect on Menton, just a few blocks away of the beach. Also it was really helpful to have a spacious parking (that costed us 14 euros a day). Sometimes parking on the French Riviera can be a little stressful. Comfortable hotel for a short stay in French Riviera. Room was decent size and had balcony. Shower is comfortable. It’s clean .Staff is super pleasant and helpful. Quiet, clean, convenient location for visiting the French Riviera. Good value for money. Such a well run hotel. Everything from pulling up outside until driving away is top notch. The staff treat you with respect, kindness, and are very helpful. The hotel itself is a museum and so interesting! You have to see it to believe it.